Film by Eszter Sandor, Valentina Huckova and Grace Maller. Students from the BA (Hons) Animation and BA (Hons) Film and Moving Image Production courses were recently inspired to create work that captures the heady and bewitching nature of Glyndebourne Opera in an exciting collaboration. Animation course leader Peter Martin explained that the project was a fantastic opportunity for students to work on a live brief with collaborative partners at the Norwich Theatre Royal and Glyndebourne Opera: “Animation and Film students travelled to Glyndebourne for a fascinating behind-the-scenes tour of this world-renowned opera company, which has years of history and tradition but is also very welcoming to a new generation of theatre-goer. Observing a full rehearsal was an insight into the commitment to the highest production values at Glyndebourne; experiment and risk is encouraged as part of the teaching at NUA that students are familiar with, so to see the rigour of this with a whole opera company was an inspirational experience. Film by Madeleine Caulfield and Chloe Cameron-Hughes. The brief set by the Glyndebourne and Theatre Royal teams was for the students to translate their experience of Glyndebourne into their creative practice, with the completed films exhibited in the front-of-house spaces whilst the Glyndebourne tour was in Norwich. Film by Öykü Baskin, Jenny Hon and Audrey Mingo Gallego. Our latest Graduate showreel and student showcase films were premiered this weekend as part of Latitude Festival in Suffolk. 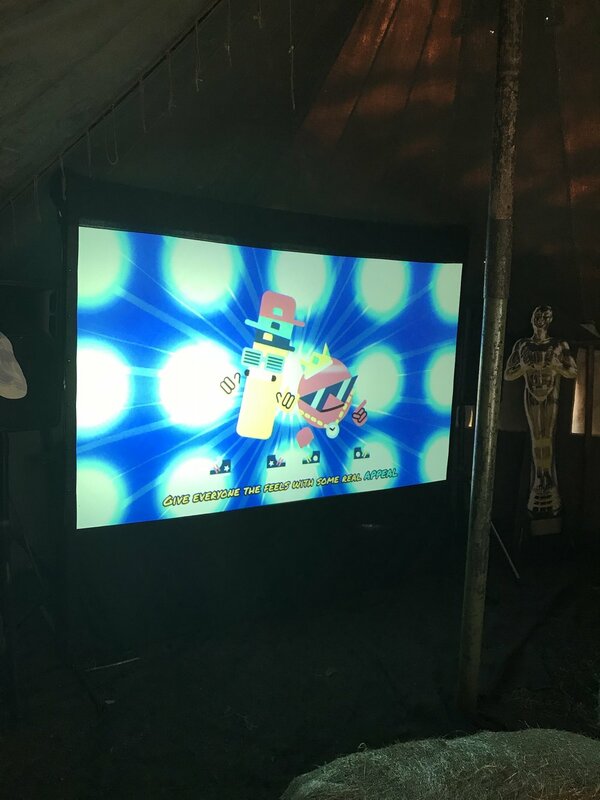 Introduced by lecturer Helen Piercy, the films were screened to an excited audience in the Inbetweeners Cinema tent. The films had a great reception and the audience were keen to find out more about how the films were produced during the Q&A. Graduate set to work on Shaun the Sheep 2! Kaitlin Folland, who has just completed her final year of her BA Animation degree at NUA, will spend three weeks working at the Bristol-based animation studio which is also behind the likes of Wallace and Gromit, Chicken Run and the original Shaun the Sheep movie and television series. After sending in a showreel of her work to Aardman Animations, she was one of six people picked nationwide for the placement opportunity and starts on July 16. 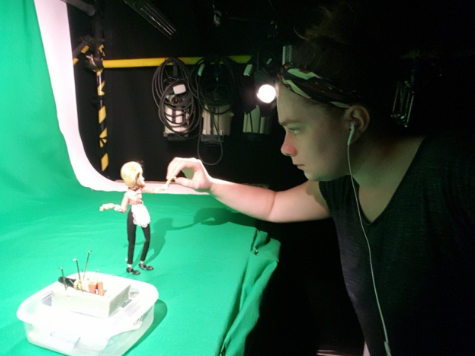 Kaitlin, who specialises in stop motion animation, said: “I am ecstatic, I am so excited just to be a part of it. When asked about her hopes for further into the future, Kaitlin, who is originally from Plymouth, said: “I just really want to improve my productions and get better at what I want to do. GRADUATE ELLIOT STRONZA FEATURED ON CHANNEL 4'S AMINORMAL? Graduate Elliot Stronza is featured on Channel 4's Am I Normal website. Am I Normal is a "bold new project from Channel 4 that aims to explore the meaning of 'normal'". During his third year Elliot created his film 'Comfort Zone' as a way to explore his social anxieties as a result of living Asperger's Syndrome. Read his interview 'Life with Asperger's Syndrome' here. Animated loop by Eszter Sandor. Our second and third year Animators were invited to contribute to an animated projection in Cinema City's cafe to coincide with the screening of Beetlejuice for Halloween. Cinema City is a local arthouse Cinema and is part of the prestigous Picturehouse Cinemas. Lecturer Helen Piercy is excited to announce that she will be joining Animated Women UK as Director of Education. Helen says "AWUK aims to support women in the Animation or VFX industry. A brilliant team and network that I am very proud to be part of!" "Part of my role will involve outreach across university/ student groups and the researching the contemporary and historical roles and perspectives of women in animation and VFX."